Richard can come to you both locally in Atlanta and fly to your location. You can also come to our Corporate Headquarters for One – On – One Private Sessions. The first part of the VIP Concierge Anger Management Coaching Program will be devoted to interpreting/debriefing the results of the Assessment and developing an action plan for skill enhancement. Each coaching session is scheduled to suit your needs and time. Appointments can be scheduled on a short notice. Fees for VIP Concierge Anger Management Coaching quoted after learning what your needs are. On Site Coaching offered, inquire. Local Metro Atlanta area. Worldwide: Fee plus the usual per diem, ground and air travel, and hotel accommodations. Six months of aftercare coaching via phone or visits can be scheduled. All fees are paid in advance. No charge for reports if needed. Please call Richard at 678-576-1913 for more information and to book. SERVES: U.K., UK, Cities, United Kingdom, settlements,towns, Aberdeen. Armagh, Bangor, Bath, Belfast, Birmingham, Bradford, Brighton, Hove, Bristol, Cambridge, Canterbury, Cardiff, Carlisle, Chester, Chichester, City of London, Coventry, Derby, Dundee, Durham, Edinburgh, Ely, Exeter, Glasgow, Gloucester, Hereford, Inverness, Kingston upon Hull, Lancaster, Leeds, Leicester, Lichfield, Lincoln, Lisburn, Liverpool, Londonderry, Manchester, Newcastle upon Tyne, Newport, Newry, Norwich, Nottingham, Oxford, Peterborough, Plymouth, Portsmouth, Preston, Ripon, Salford, Salisbury, Sheffield, Southampton, St Albans, St Davids, Stirling, Stoke-on-Trent, Sunderland, Swansea, Truro, Wakefield, Wells, Westminster, Winchester, Wolverhampton, Worcester, and York. What comes to mind when you think of anger management? Some would describe anger management as a method to control one’s emotions. 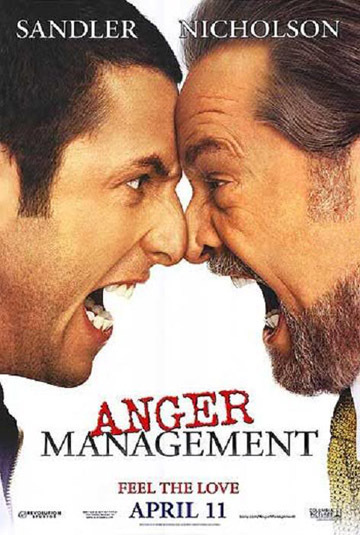 Others, like me, would think of Jack Nicholson and Adam Sandler in the motion picture film Anger Management. A few years ago there was no right answer. Anger Management was just a term thrown around, and clearly, no one knew what it was. That was until George Anderson and his team of associates not only defined the term, but set the standard. Since then, Mr. Anderson and his team have never looked back. Still never heard of Anderson and Anderson, eh? The Anderson & Anderson program is internationally renowned, and, currently, they are the largest provider of certified Anger Management Facilitator training in the world. 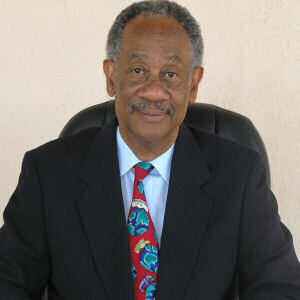 George Anderson and his ideals have been featured in the New York Times, the Baltimore Sun News, the Toronto Sun News, ESPN, the Los Angeles Times Magazine, NBC’s Starting Over, the Chicago Tribune, Entertainment Weekly, the London Sunday Times, BBC, and many more. 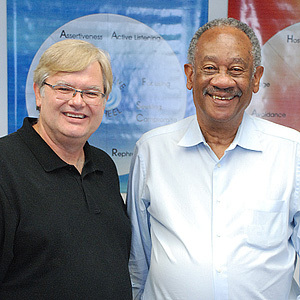 Along with his lifetime of accolades, Mr. Anderson shed his knowledge on Hollywood when he served as a technical consultant on the well-known green lit film, Anger Management. By now I’m sure you are starting to see the big picture. Some of L.A.’s most elite make the drive down Wilshire Boulevard to work with George, proving that the Anderson & Anderson business model is one of L.A.’s most untapped resources. Affiliates of Anderson & Anderson are popping up all over the internet like chicken pox. Don’t believe me? Take a look for yourself. Currently there are over 75 web sites affiliated with the Anderson & Anderson business model and their merchandise. Quietly, Mr. Anderson has become the godfather in a relatively uncharted industry. He has certified trainers mentored personally by himself all over the world, in countries like Argentina and London. Over time the business mogul of 12301 Wilshire Boulevard has set the bar as the most prominent anger management provider of the world, quite frankly in an industry that Mr. Anderson defined himself. So maybe next time when you think anger management, you will think Anderson & Anderson. certified by George Anderson at the Anderson and Anderson World Headquarters in Brentwood, CA a suburb of Los Angeles, CA. Richard is one of George’s biggest fans and stays in touch with him by phone and e-mails. Atlanta Anger Management is the #1 Anderson and Anderson Certified Anger Management Provider in Atlanta, GA, possibly the Southeast. Phone Inquires come from all over the United States asking about Anger Management from Social Worker Agencies, HR Departments, Colleges, Government Agencies wanting to refer participants to us when they transfer to the Atlanta area. Participants have flown in, driven in their autos from Kentucky, Alabama, Tennessee, Florida, South Carolina, North Carolina, West Virginia and New York. Please Call Richard at 678.576.1913 for more information or to set up appointment. Choose One and attend that one. Not interchangeable. Court Ordered and Volunteer Participants. For those needing affordable Anger Management Classes each week. You pay as you attend until the number of hours required is accomplished. For those needing 12 hours of Anger Management Classes you would attend 12 Tuesday Evening Classes. For those needing 16 hours of Anger Management Classes you would attend 16 Tuesday Evening Classes & 1 Extra Hour. No enrollment fee. Please call Richard at 678-576-1913 to join a Tuesday Evening Class. No drop ins. Just call to get started. Please bring your Court Papers to the first class to fill out an Intake Form. Saves you gas and money. For those needing faster completion use our Saturday 8 Hour Class. reservations. Try Comfort Inn nearby to save money. Atlanta Anger Management is a Certified Anderson and Anderson™ Anger Management Provider. Anderson & Anderson’s Certified Anger Management Facilitators are influencing how anger management is practiced throughout the United States. Anger Management has moved from the basic idea of management of anger to a broader understanding of the relationship between anger, stress, communication, self-awareness, social awareness, impulse control, optimism, decision making, self-perception, flexibility and relationship management. This provides the client with self understanding (awareness), learning to control one’s emotions, social awareness for better interactions and more productive relationship management. In most cases reduced recidivism is also achieved.